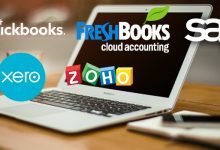 Although QuickBooks Online (QBO) is a very powerful accounting tool for small business management and is fairly simple to use, it isn’t the kind of software application that can be picked up intuitively. 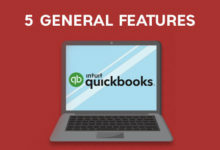 New users of QBO must get a little acquainted with the software for two reasons – 1) so they don’t mess up their own company accounts by guessing their way through the software, and 2) so they understand how to make use of the excellent tools and automation processes QuickBooks makes available specifically for small business accounting. 1. First off, QBO offers the option of a sample company for new users to practise on so they don’t have to use their own company accounts as the guinea pig. It helps users learn how to customise invoices, set-up payments, pay employees etc. The sample company file is called Craig’s Design & Landscaping Services, and can be accessed without having to sign in. Nor does it retain any changes made, so you don’t have to be afraid of your mistakes being permanently saved, and can start fresh whenever you want. 2. For your reports to be inferential, your Chart of Accounts and Products and Services lists should be nailed right. ● Chart of Accounts: The Chart of Accounts categorises and organises your business transactions by ensuring each transaction has been assigned to an account. If you are unsure about which transaction has to be assigned to which account, QBO helps you set it up using your answers in the Start-up Interview and based on your company and industry. ● Products and Services lists: As the name indicates, this is the list of products or services that your company offers, and should be set-up after setting up the chart of accounts. This list will be used for your customer invoicing. 3. With your chart of accounts set up, you need to start entering the data pertaining to cash spent or received. Your QBO account record of transactions must mirror your bank and credit card statements, and classify those transactions appropriately. If money was received or spent, it must be noted under the right registers, and classified as credits or debits. 4. Don’t be tempted by downloaded banking transactions to give up on your regular bookkeeping. While it is definitely easy, you need to remember that it is only a tool to help you save some time with data entry, but it doesn’t in any way replace bookkeeping. Moreover, you need to ensure that every single downloaded transaction reflects the right vendor/company name and is under the right category in the chart of accounts. Failing this, QBO will classify them as uncategorised income/expense and you will be spending time later trying to remember those transactions and re-classify them correctly. So those are 4 important points to remember while starting out with QBO. Don’t get overwhelmed or impatient. 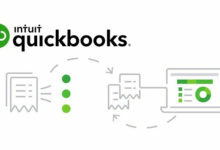 If you invest that tiny bit of time learning the ropes of QBO, you will benefit immensely from its powerful features and it will take you a long way in the future, so you will be able to handle your accounting like a pro!